Carrie Marie Underwood is an American country singer, songwriter, and actress. She rose to fame as the winner of the fourth season of American Idol in 2005.She rose to fame as the winner of the fourth season of American Idol in 2005. 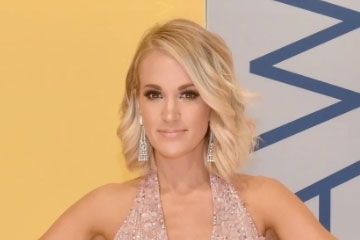 Love Carrie Underwood Red Carpet's style? We have made recreations of the most popular red carpet outfits Carrie Underwood wore in the past few years including Carrie Underwood CMA dresses,Carrie Underwood grammy dresses. They were loved by thousands of girls. We will keep updating the Carrie Underwood celebrity dress collection constantly. Be sure to check back periodically for the latest Carrie Underwood style clothing.Carrie Underwood White Dresses,Carrie Underwood Short Dresses.